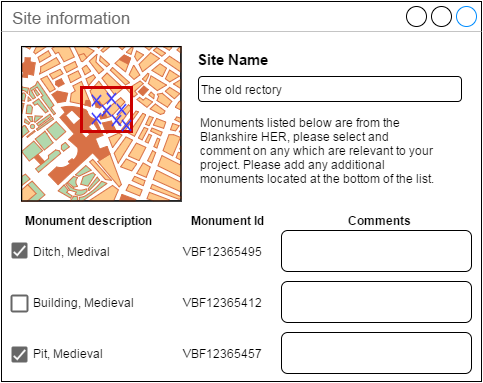 one reason for doing it would have been to speed up describing the event and report for OASIS users but this can be done in two ways by selecting monument and period terms from the thesauri and extracting keywords from the uploaded report instead. We then moved on to the issue of synchronising data between OASIS and HERs. Importance of import / export / synchronisation functions. Without a proper synchronisation system, OASIS will not be any more integrated into HER and development control workflows than it is now, regardless of how good the new form is. Chris Martin from Clwyd Powys Archaeological Trust outlined how there is a current pilot being done to upload HER wales records and reports to OASIS. Event reporting in Wales is different from England and so the synchronisation needs are simpler – data moves from HER Wales to OASIS. More information about this project is available in a previous blog post. 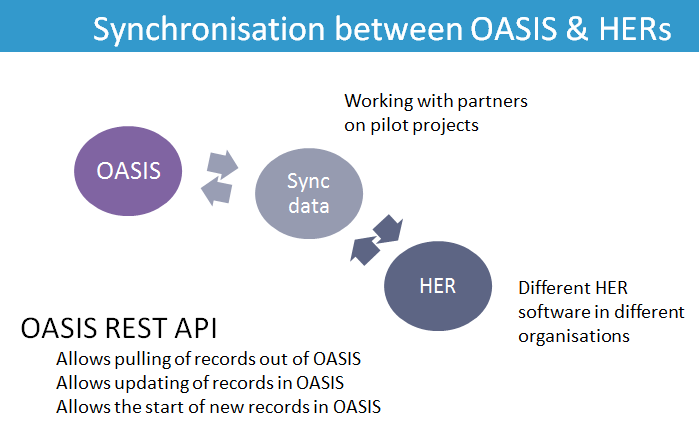 Synchronisation in England is not yet happening but the HERALD project (redevelopment of OASIS) hopes to include 2 pilot synchronisation projects looking into the different scenarios needed to update records in OASIS from the HER and vice versa. The discussion covered the different sorts of synchronisation needed and how it might accommodate the different HER database systems, with the suggestion that a synchronisation ‘recipe book’ should be one of the products of the pilot projects to help others in the future. The pilots will include an HER using the HBSMR software and HER using a bespoke database system in order to give a range of perspectives of the issues. In conclusion, a very useful day in which we managed to both simplify the planned system for users and make progress on linking OASIS into HER workflows. Thank you to all who attended! I like the idea of a synchronisation ‘recipe book’ advising users how to map outputs from OASIS to different software solutions. Advice from my procurement office is that any services funded through the public purse should be developed to Open Data standards and not tailored towards any individual solution. 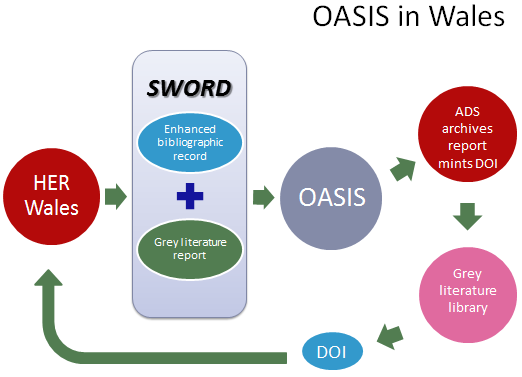 Services from OASIS should therefore be constructed to an Open accessible data standard. Thanks for your comments Peter. Just to clarify the Application Programme Interface (API) which will be produced by the ADS to allow synchronisation between data in OASIS and other systems will be open access and fully documented. The ‘Recipe book’ mentioned in the post will cover how people have set up the synchronisation which will have to differ as it will be accommodating different software running on different systems. It will contain things like design considerations and experiences of working with the OASIS and HER data. 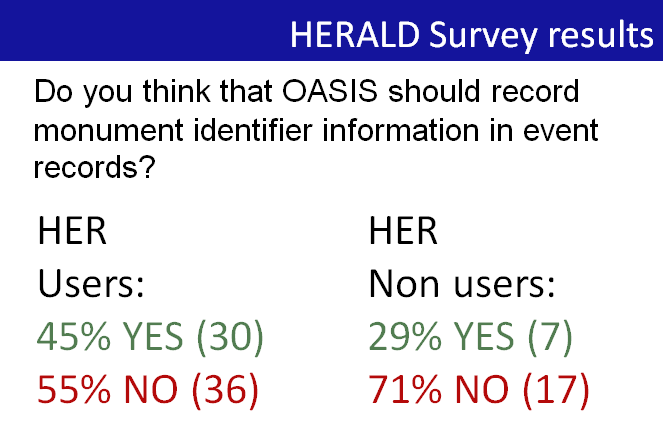 The increasing problem of HERs only being maintained voluntarily and of privatised development control advisers not being resourced to maintain/verify OASIS forms/reports seems to be being completely ignored in this discourse.